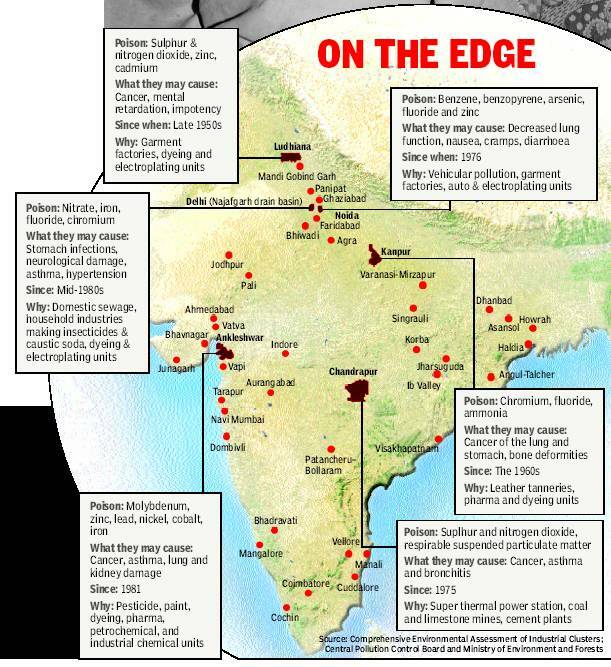 Garment factories, leather tanneries and dyeing units are all listed on this map of industrial poisoning in India. The resultant health effects include cancer, asthma, lung damage, kidney damage, mental retardation, impotency and birth defects. ← Where is the Cotton You’re Wearing Grown?